One of the most important keys to living a great life is to always be able to stay positive no matter what happens in life. This is especially true if you are seeking higher success. You cannot move forward and go on to achieve your goals if you stay in a negative state. 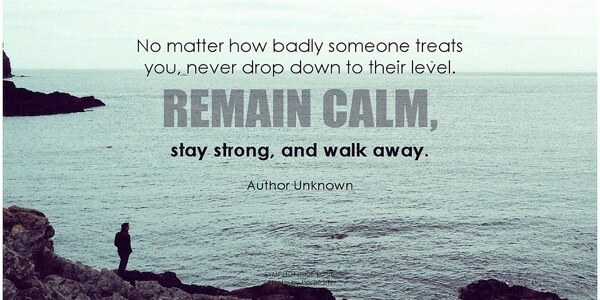 Negativity will drag you down and stop you from moving to a higher ground. Think about it, when you are negative, when you are upset and when you are depressed, can you be productive and get things done? Even if you do what is necessary and take action, it will be impossible to create outstanding work because you will get affected by your mood and consistently think about the problems. This is why they say that being optimistic and staying positive at all times are the fundamentals to success. We all know that our emotions are directed by our thoughts. In other words, you can change your emotions by simply changing what you focus on. And one very effective way to get out of negative emotions is by focusing on something positive. You have to consciously or force yourself to think positive. When things happen, there are always two ways to react to it – you either think positive about the situation or you imagine all the worst that could happen. Imagine pouring water into the glass and stop half-way. So is the glass half-empty or half-full? There are always 2 ways to look at things, either positive or negative. Or you can simply stay neutral, but it is hardly so because our mind has been conditioned to either look at things from the good side or the negative side most of the time. You have to understand that if you want to move forward, you will have to learn to look at things from the positive side. The reason is simple; would you go ahead and make the investment if you feel that the market is going down? The answer is a resounding no. Who would want to lose money on their investments, right? On the other hand, would you invest if you know the market is strong and the company is doing well? Most likely you would. The same happens in everything in your life. You will never eat in the restaurant if you feel that the food there is tasteless. You will never buy the property if you know it is overpriced and the market is soft. You will never go into business if you think you do not know how to do it. Can you see it now? Negativity will stop you while positive will move you forward. Of course, there’s no good or bad, it is just whether the feelings and emotions are going to lead you where you want to go. Therefore, get out of negative thinking by changing your focus. The next time you feel depressed because your boss scolded you, imagine great things that you have accomplished before. Think about how far you have come and how much you have achieved all these while. You will feel better and you will start to slowly think positive. 1) Change your focus through reading. I love this because I love reading. Whenever you read, your mind will focus on the information you read. In other words, read a motivational book and you will feel motivated. 2) Watch a movie or video clip. Almost the same as reading; you can change your focus through what you see with your eyes. I love this technique as well and usually, I will do this whenever I feel like I need a boost of my motivation. 3) Listen to uplifting songs or music. This is another powerful method that can change your focus. When you listen to fast-paced music, you will feel the surge of adrenaline rush through you. You will want to sing along and move along. Whenever you are down or depressed, just think about what you have in your life right now. Maybe you have lost someone, but that does not mean the end of the world. If you failed in business, you still have a great family who supports you no matter what. Think about the things or people you appreciate and be grateful for what you have. You will feel at peace and positive. If you are having difficulties in business and you can’t seem to find a solution for the problem, take a rest, relax or walk away from the problem. Studies have shown that you cannot think properly when you are stuck in the situation. So you need to get out of it and do something unrelated and then come back and tackle the issue with a fresh mind. Do you know that your words are powerful? And your words can influence people? Do you have kids in your home? Kids will follow and mimic what adults say and do. If you say something stupid, they will try to mimic that and do that. Not only that your words are influential toward other people, more importantly, your words can affect you. What do you say to yourself when you face a difficult problem? What words do you use? Some words such as “I don’t know” will shut off your mind and stop you from thinking further. Other thought such as “Why does this has to happen to me?” will force your mind to search for negative answers. Your words have the same power to change your focus. And the intensity of each word is different. When someone tells you, “You’re lying” compared to “you’re wrong”, both will give you different impact on your emotions and feelings. Some words are powerful while some words are devastating. Words can empower you or they can destroy you. If you keep telling a child that he or she is stupid, do you think that will leave an impact on his or her life? You better bet it will. This will definitely turn the situation around because the word “A little annoyed” has lowered down the intensity. When you use the words, “I’m in rage” or “I’m furious”, you will feel different. The level of anger will be different. So learn to manage your words and your language. If you want to learn more on this topic, learn directly from the best, Anthony Robbins. Here’s what he has to say about managing your words. Do you know that your environment will affect your thinking as well? Imagine that you are working in a noisy workstation, where everyone is shouting and your table is in a mess, can you focus and be productive? You know the answer. Your environment can shape you. And do not let this happen, instead, be the person who shapes the environment. If you want to be positive no matter what, create a supporting environment that allows you to be in it all the time. Start by managing your home. Make your bed after you wake up. Clean your house whenever it gets dirty, do the laundry and wash the dishes immediately. Even though these are small things at home, but they can affect you. Imagine when you are working hard in the office, but suddenly, the thought that you forgot to wash the dishes yesterday can appear out of nowhere and it will distract you. Sometimes when you are working on some tasks, other unrelated thoughts will just appear out of nowhere and you will get distracted. So never let the small things stop you and drag you down. Handle them immediately and create a surrounding that will empower you to reach your goals. If you want to make your life work, you must learn to manage your life, starting by handling your environment. You know that you cannot concentrate and focus on your study if you stay in a noisy place, so instead of staying there, choose to go to the library. This is a great example of how an environment can impact you. While not everyone will be affected by the environment, but most people do. Unless you have a strong discipline and able to intensely focused on what you want in life, your environment will shape you. So make your environment work for you. Make them support you and empower you. It is said that you are the average of the people you mix around with. If you want to know your earning potential, try to get the average of the 5 people that you mix with most of the time, and you will know your earning potential. Thus, mix with the right people to get the right result. You cannot mix with losers if you want to be a winner, right? A swan mixes with ducks will end up behaving like ducks. So stop getting affected by the wrong groups of people. Get around with the right people and you will produce the right result that you want. Energy is contagious and it can transfer and affect people. So if you talk to someone negative, his negativity will influence you. This is why you need to network with successful people and mix with people who are positive. You do not want to get influenced by negative people. If you have a big dream to start your own business and you talk to someone negative, he will tell you it is impossible and all the reasons why you can’t achieve it. Conversely, if you share it with positive people, they will congratulate you for your big dream and they will encourage you to go for it. They will even tell you who has done that and where you can get advice from. Mix with the right group and you will get the results you want. Mix with the wrong group and you will end up living in mediocrity. Hence, stay positive by mixing with the right people. Let their positive energy influence you. Let their possibility thinking show you what you can accomplish and let results inspire you. Sometimes bad things will just happen and they are unavoidable. However, what you can do is to get yourself out of the situation. The moment you stuck yourself in the negativity cycle, you can never get yourself out of it unless you walk out of the situation. What you can do is to do something totally unrelated. This is why travels make people happy and creative. Never underestimate the power of travelling to places and enjoying holidays in a place you have never been to. It can change you. Of course, you do not have to travel oversea every time when problems occur. You can simply walk away by taking a nap or reading a book (change your focus). You can also go for jogging or take a walk in the garden or park. Sports can be a great way to release your stress and disconnect yourself from your problems as well. The moment you stop and do something unrelated, you will let go on the issue and come back to tackle it with a refreshing mind. Do you know that Thomas Edison takes a short nap whenever he faced problems that he cannot solve? And after the nap, he will feel refresh and able to handle the issue more properly. The same goes for Jack Ma, Alibaba’s founder. He would simply walk away from the problem and take a nap. He said that every time after he comes back from the nap, he feels much better and able to handle the problem in a better way. This is how successful people maintain their positive at work. You can do the same if you want to. This is the most underrated method to staying positive no matter what. Do you know that your health can affect your feelings and emotions? Do you think you can do well if you are always in a bad shape? I don’t think so. People who are able to produce amazing results in their lives are people who care about their health. You cannot stay focused if you are sick. So eat well, exercise and get enough sleep. This is a very subjective topic because everyone’s build is different. Some people require only 5 hours of sleep and they are able to work the whole day, while some people need more sleep time. However, make sure you exercise regularly. Research has shown all the benefits of exercising. A healthy body simply allows you to think more constructively and more optimistically. Make it a habit to exercise regularly. Commit to it, even if you just spend 15 minutes a day, it will be the 15 minutes well spend. Do you have a clear and specific goal you want to accomplish in life? Do you wake up dreading to work? Do you find your life boring and not sure what to do with it? Or do you feel excited every day and can’t wait for the next day to come? Do you feel energetic every morning because each day you are moving closer toward your dream? Your goals will motivate you and your dreams will keep you positive at all times. Without knowing what you want to achieve in your life is one of the main reasons people are living in negativity. So find your purpose in life right now. Discover your destiny and find out what you want to do with your life. Do you have a dream? Do you have a clear and specific goal? If your answer is a no, then stop reading and spend time finding out your life’s purpose right now. You need to have a mission and vision in life. Without having a clear direction, you will get affected and lost in whatever that comes into your life. Successful people are able to stay positive no matter what because they have a dream and they know what they want to achieve in their lives. This is why they are able focused and get rid of negative energy that invades them. 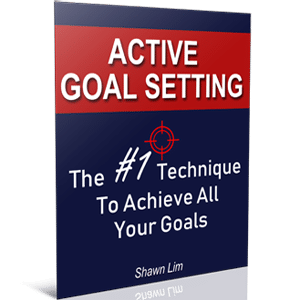 Use my proven Goal Setting Formula to set empowering goals that will move you forward in life. Do you want to stay positive no matter what? Learn to manage your own self. All the above methods are not going to work for you unless you first learn to manage yourself. So are you living a positive life right now? And how do you keep yourself positive every day? Go on and share your opinion by simply dropping a comment below. Being positive is really important for becoming successful in life! Staying positive irrespective of the circumstances is a priority because it helps sharpen our focus and it enables us to see the good in every situation. I’m personally impressed with point #2 because words can either build or destroy. Once again, great article! Keep up the good work! Great to hear that we are in the same niche Joseph. Love your blog. Stumbled on it today. Its is deep truth with light words and easy references.